Getting ready to go back to school is an exciting time! It’s a time to start fresh with new students and take what you have learned (from training or experience) and put it into practice! It’s easy to be energized and optimistic about the new year, but sometimes that feeling quickly fades away as the year actually begins and the struggles of daily life in the classroom take over. I’m here to share with you some awesome tips and ideas to help you have the best year yet, starting with the first week! Have a plan: You know the famous saying, “If you fail to plan, then you plan to fail!” No place is this more true than in the classroom! You MUST be prepared on the first day of school to receive your students, organize supplies, and build your classroom community. Having a plan in place for these things can make all the difference in the world! (Keep reading for more specifics in these areas.) Know your routines and procedures and PRACTICE, PRACTICE, PRACTICE! A week spent practicing routines and procedures translates to a much smoother school year! 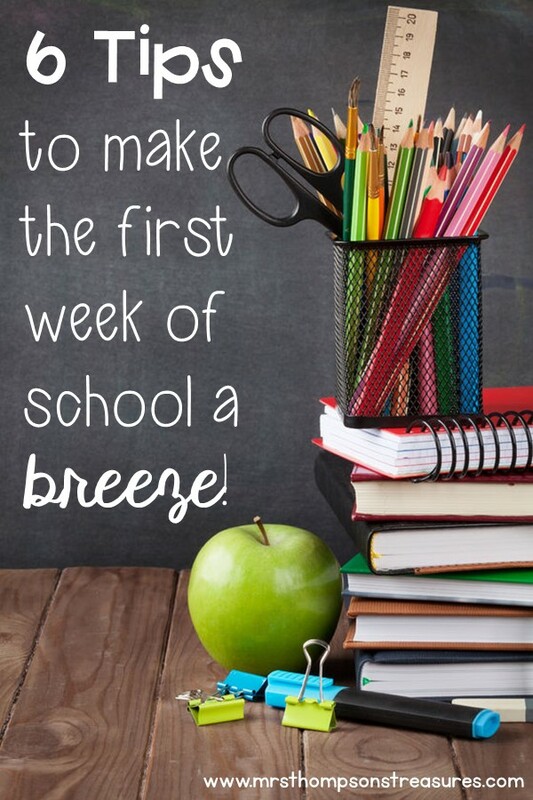 Greet with a smile: Many of your students will be nervous and uncomfortable on the first day of school. Make sure you greet them with a smile and a handshake or pat on the back. Instead of towering over them, try squatting down to their level. They will feel important and gain confidence. You may even make up a secret class handshake that you greet each student with each day. Have clear directions (using pictures if you can) displayed so students know what to do when they come in. Have an activity ready to go on each desk so students have something to do while you continue to greet students coming in. Having something to put their hands to can help calm their nerves and prevent misbehavior. See this post for a couple of free ideas. The great supply set-up: Decide how you want to store student supplies. Maybe you want each students to keep all of their own. Give each student a large Ziploc bag with their name on it as they enter, with clear instructions on a piece of paper or the board of which supplies go in the bag. You can then gather the bags and distribute the supplies later through the year as students need them. Maybe you want to combine all of the supplies to distribute evenly to table groups later. Have signs around the room where students can drop off certain supplies (crayons in one corner, paper on the back table, etc.) This can prevent a big mess of supplies accumulating in the room for you try to organize later. Set expectations: If students don’t know your expectations then they will always be pushing boundaries and testing your patience! Not only should you let them know your expectations of them, but let them share what they need/expect from you as their teacher. Create anchor charts that you can reference throughout the year when problems arise. 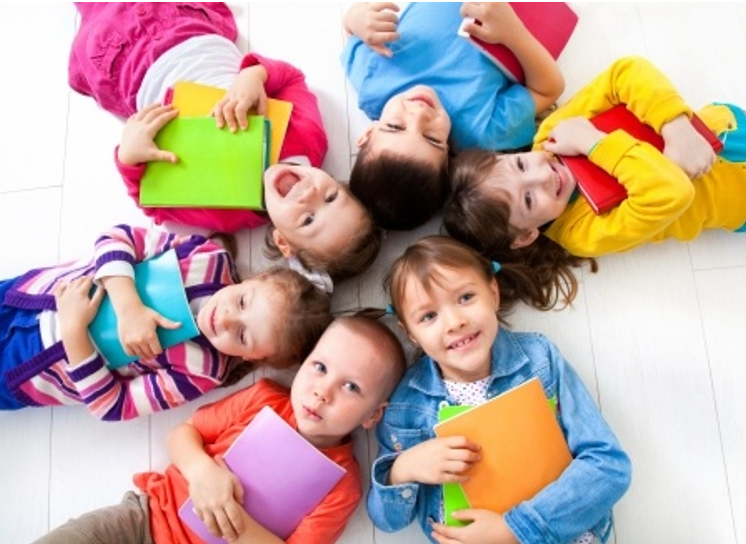 READ, READ, READ: Gather some books to read throughout the first week of school. Find books that talk about the first day of school and use them as springboards for your own community discussions. If you find your self with a few minutes (or longer) with nothing to do that first week of school, grab more books and read!